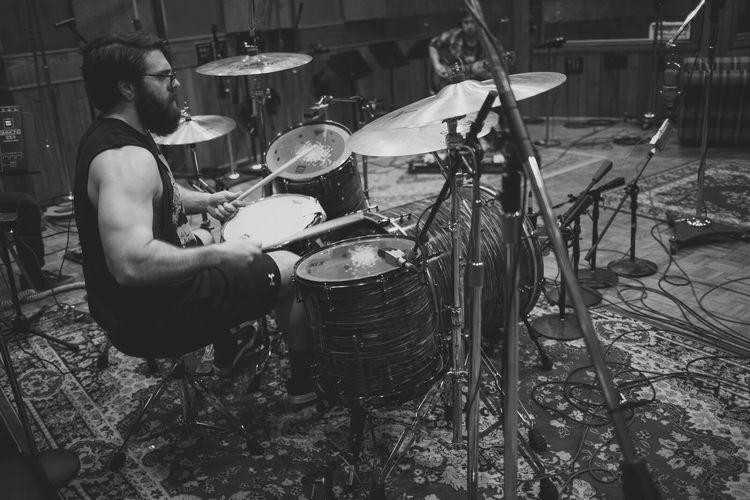 Guest Post: "Kick Drum Findings"
The following is a guest post written by Matt Qualls of Brass Tacks Audio, and is reprinted here with his kind permission. Let me preface this article by saying this is not a shootout. This is not a technically perfect A/B scenario either. These are merely my opinions with audio files to support them. This is also NOT a paid endorsement from sE Electronics. Over a year ago, Ardent Studios opened its doors to letting me book sessions. In my time at Ardent, I was able to experience some of the world's greatest audio equipment first-hand. From Fairchild to Pultec, Solid State Logic to Neve, AKG to Neumann, all grounds were covered. But one piece of gear truly spoke to me - the U47fet. 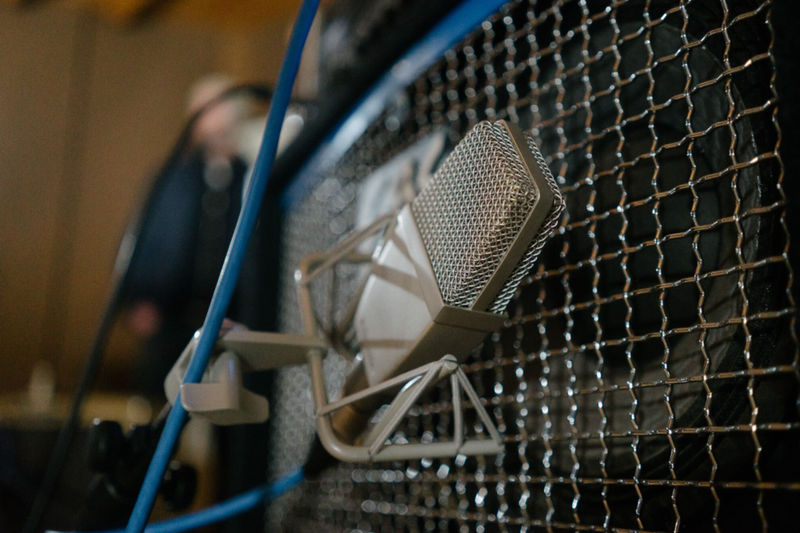 Specifically, this microphone filled all my needs for the perfect kick drum sound. Fat and hefty, punchy and warm, but still sharp and clear. This is how the U47fet is often described. Upon the decision of moving to California, I realized I needed to find a replacement for this microphone. 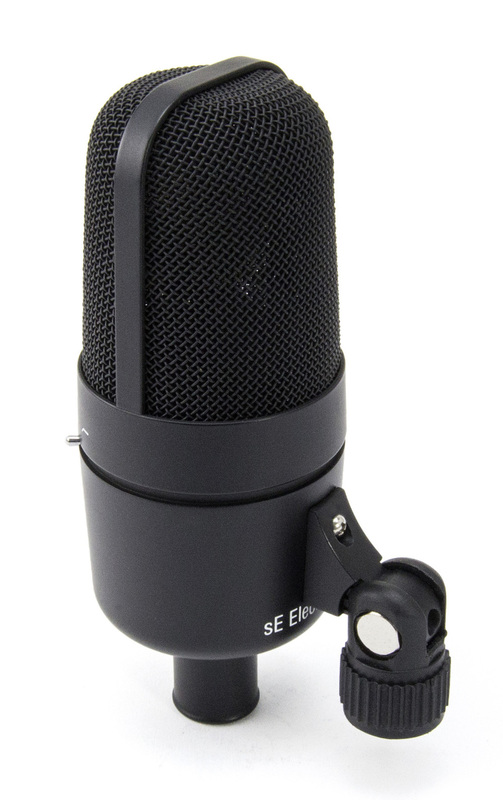 So the hunt began...I read up on many U47fet-influenced microphones. From Bock to Advanced Audio, I wanted to try them all. 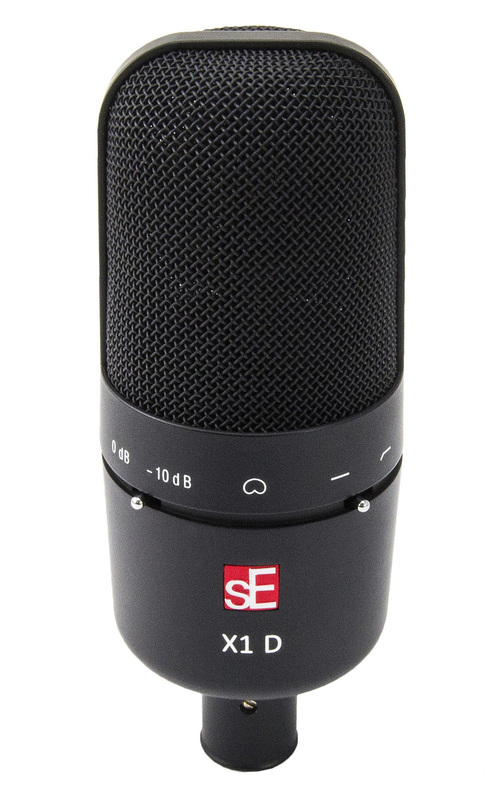 So shortly before moving, I read about the sE X1 D. It seemed like a great mic, perfect for the application, and a stupid-cheap price. So I figured "why the hell not." I pulled the trigger and had one delivered, with the perfect session the next day to test the mic. My own band booked a weekend in Ardent's Studio C. Equipped with the regular pieces of gear and a few helping hands, the session was up and running quickly. Drums: SJC 8-ply Maple Kit. 24" x 22" Kick Drum, 14" x 16" Rack Tom and 16" x 16" Floor Tom with a 14" Ludwig Black Beauty Bell Brass Snare. Photo by Nicholas Scott Hall. Microphones & Placements: Kick Inside - AKG D12, Kick Outside - U47fet / sE X1 D, Snare top- SM57, Snare Bottom - Neumann KM184, Tom Tops - AKG 414EB's, Tom Bottoms - Sennheiser MD421's, Hi Hat - Neumann KM186, Overheads - Neumann KM86's in stereo spaced pair, Front Of Kit Room - Neumann M249, Diffused Room - Cascade 731R (this is the mic placed under the M249 aimed at the sides of the room, with the null of the figure eight rejecting the kit), Ambient Rooms - Earthworks TC30 Omnidirectional mics placed near the ceiling at the furthest point from the kit across the room. Preamps and Front End: All of the microphones were run through the SSL Duality on-board preamps. No EQ was added to any of the kick drum mics on the way in. Some compression was added to the snare, front of kit and diffused room mics. Now, on to the U47fet and sE X1 D.
Both of the outside kick mics were set about 6" - 7" away from the front of the kick, out of the way of the port. They aren't exactly on the same spot of the kick drum, but they are definitely close enough to capture the same sound. My initial reaction to the X1 D was "Whoa, this thing has some serious low end." But the point of the session was tracking my band, not A/B'ing the two microphones. So a focused opinion on the microphones and their differences wasn't determined until mixing started. Once I was able to get back home into my usual mixing space, I realized that the X1 D held it's own against the U47fet quite nicely. The character was punchy and had a big, open low end. It was obvious the mic nodded at the U47fet, but it was different. 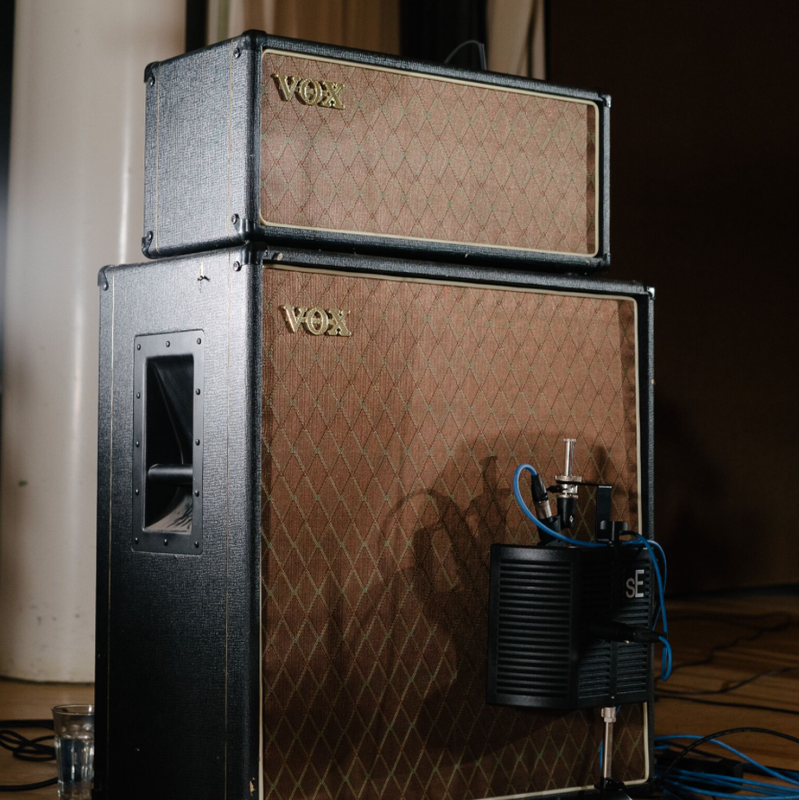 It lacked the midrange forwardness of the U47fet. But what the mic lacked in midrange voicing was made up with massive low end, especially in the subwoofing frequencies. And for this mix, it was perfect. I ended up choosing the X1 D over the U47fet for the mix. We wanted the drums to nod towards the Deftones more so than Neurosis, slightly more hyped than natural. First, let's start with just the close kick drum mic samples. These are unprocessed files, so you will need to turn the volume up. Next, let's hear the different mics in context with the rest of the drum kit. These are still unprocessed files, only level balancing has been done. As you can hear, the lines blur a little with the incorporation of the rest of the kit. And with just a little EQ added to the sE X1 D, you can be one step closer to the U47fet, for a fraction of the price. I am very thrilled with the result of the mic, especially since I snagged it for $200. Here is the sE X1 D with EQ, a little bump at 500Hz and 3300kHz. The EQ is the graphic EQ built into Logic, so there is no mojo magic happening. Pretty awesome, right? 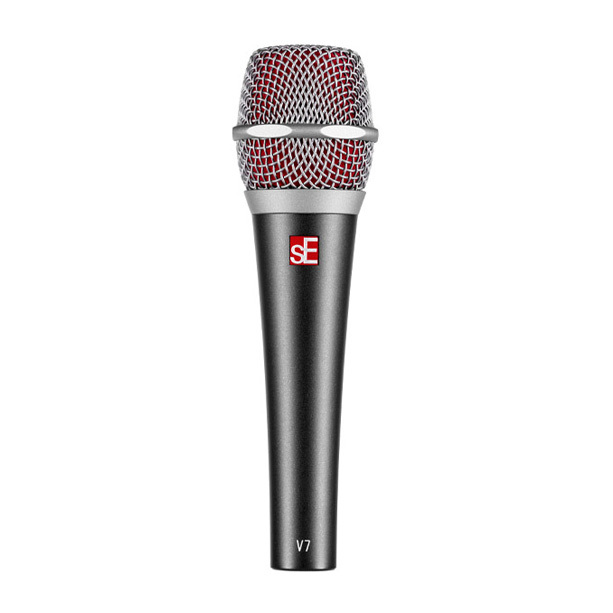 I think sE knocked it out of the park with this mic. And it confuses me that I hadn't heard more about the mic. It found its way all over the rest of the album. On bass guitar, and all the vocal tracks. I did another side by side comparison with the U47fet and the sE X1 D during bass tracking, but ending up going with the U47fet for the final mix. Maybe I will post that in the future, depending on how many people dig this write up. Like I said, this isn't a paid endorsement from sE. I'm a real dude that is trying to share my experiences with gear. So it's more of a review than anything, I'd say. Either way, I still love the Neumann U47fet and ended up grabbing an Advanced Audio CM48fet just to see if they could take me one step closer. I haven't determined much of an opinion on that mic, I've not used it next to Ardent's U47fet. But once I do, I'll most likely chime in with my opinion. Finally, I will leave you with the final mix and master file of the track used throughout this post. If you're not into heavy metal be cautious, and please listen with an open mind. Thanks for reading. Oh also, you might want to bring your headphone / speaker volume down a bit. For more info on my recordings, please feel free to check out the rest of my site. And please don't be shy, leave comments and tell me if you enjoyed this or not. Thanks again! ...and click here to learn more about the X1 D.